Does this look like it needs replaced or are these ones shaped like this at this end? what engine is it? when I had mk1 focus 1600 it had a pipe that looked like that on front of engine that ran under the inlet manifold. I can't make out on your pic quite where it is. The car started having high tickover, the pipe looked like that and on the other side of it had split letting in air. I never did replace it. I just wrapped a ton of good quality insulation tape round it. Wasn't easy to get to. A bodge, not to save money, but because I wanted to fix it there and then and not wait for part/drive miles to get it. It's the 1.6 sigma/duratec. 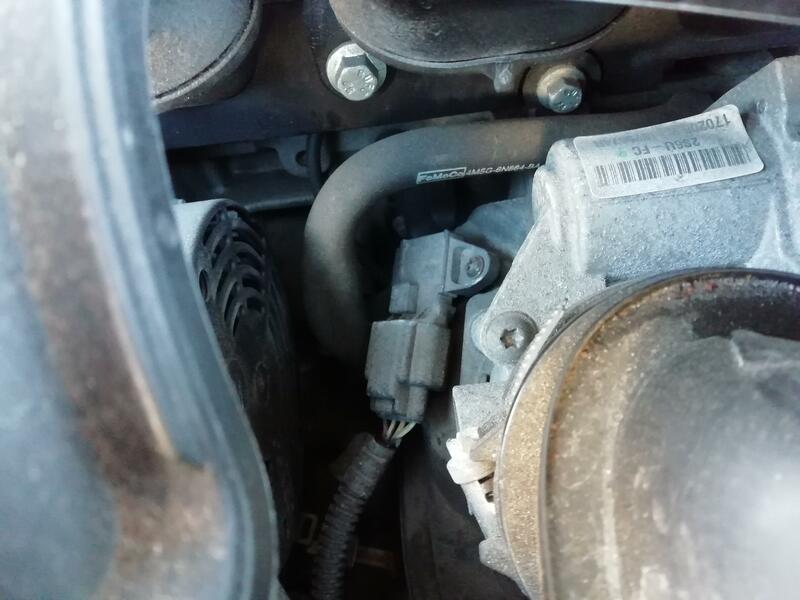 That is behind the inlet but the pictured part just sticks out near the alternator and the part below the straight part is the throttle body. Does anyone else have any opinion on it? I'm trying to track down whistling noises the intake is all right I've done the close off test and the engine nearly died so no leaks in there. Well it feels soft I assume it's needing replaced.